Doesn't it remind you of the lovely stained glass windows in a grand church? Can you smell the incense wafting in? 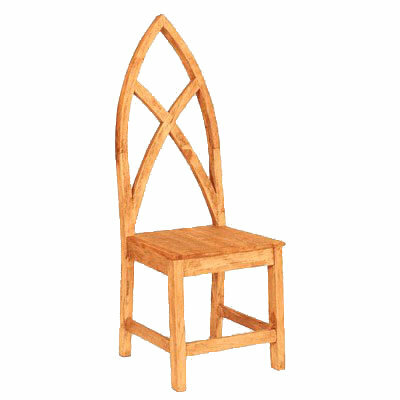 Choose your stain and finish to further personalize this chair. Speaking for myself, to make it really resemble the atmosphere of a church, I would go with the dark stain. But we customize to your preference. If you would like cushions, they are available in the fabric of your choice for an additional amount.